To edit text messages, click on the SMS tab. You will preview your message below as you type it. 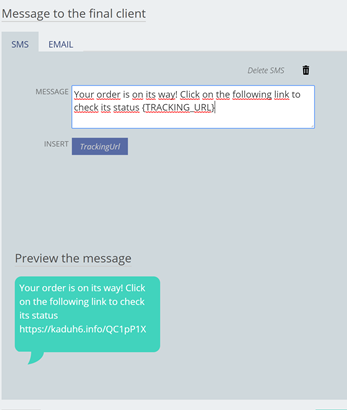 Click on TrackingUrl to insert the link with the order details.